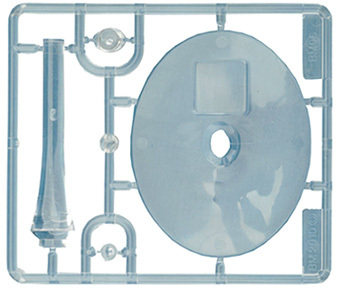 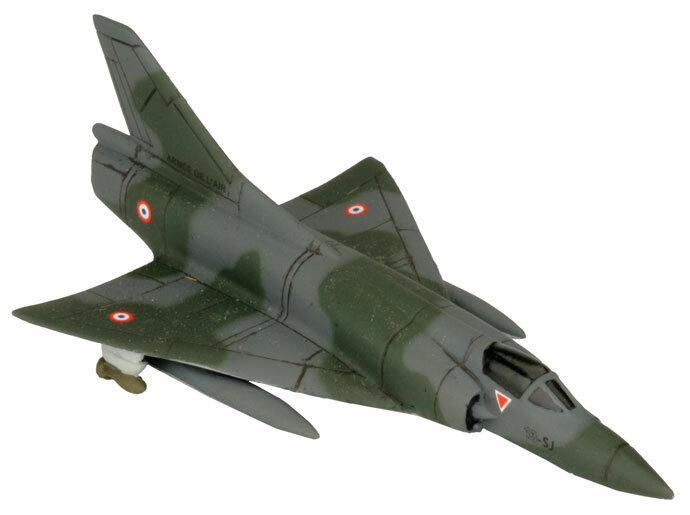 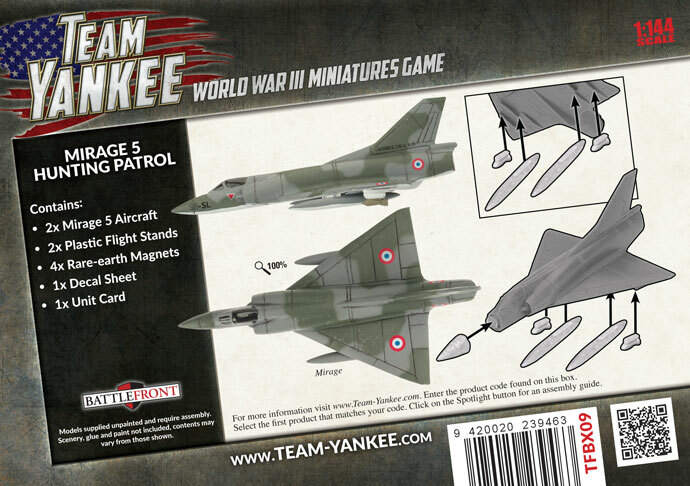 Includes two plastic Mirage 5 aircraft, two plastic Flight Stands, one Decal sheet, and two Unit cards. 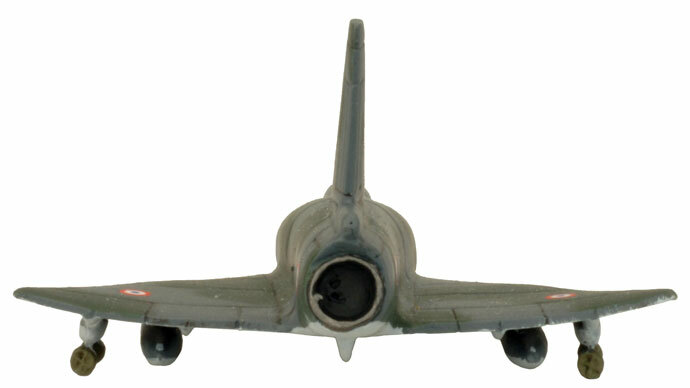 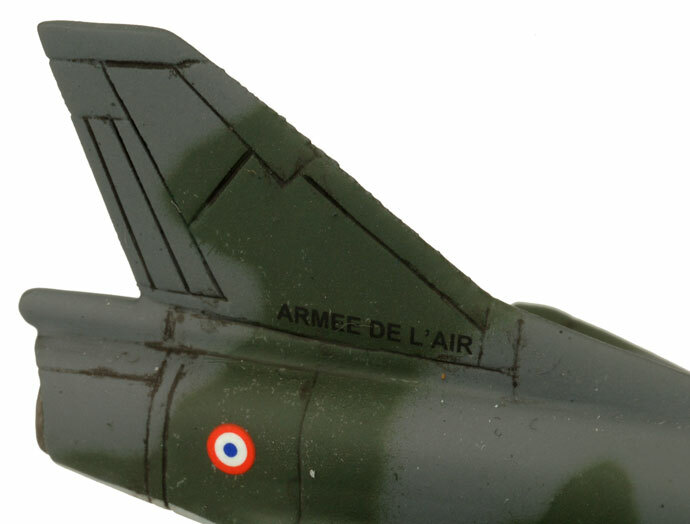 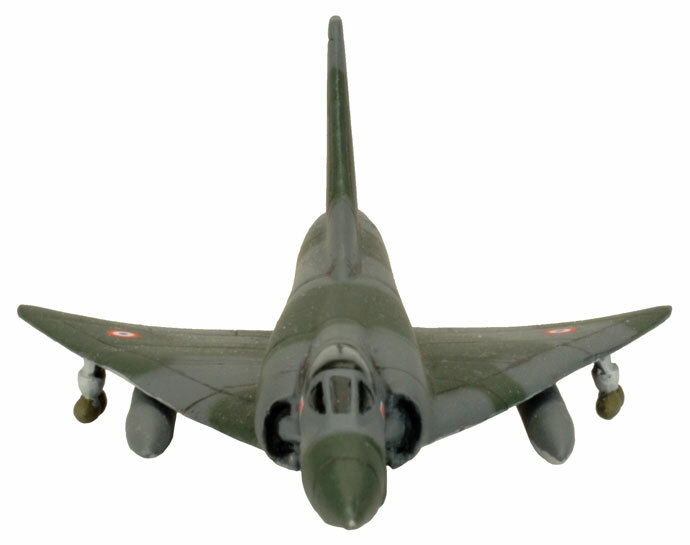 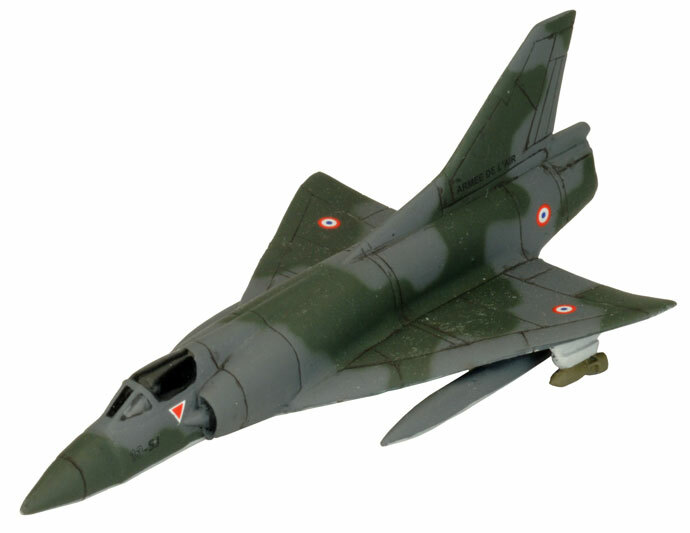 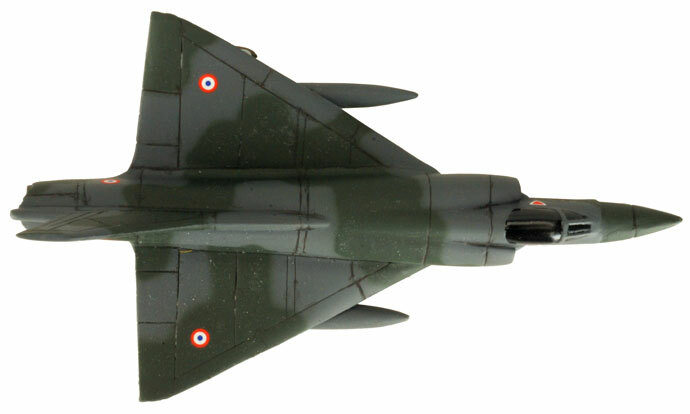 The Mirage 5 design re-tasked the successful Mirage III fighter into a ground attack role. 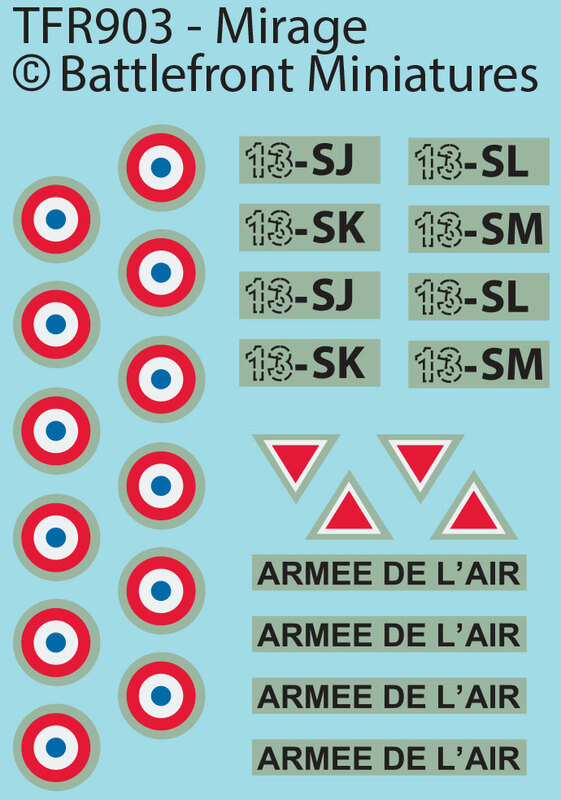 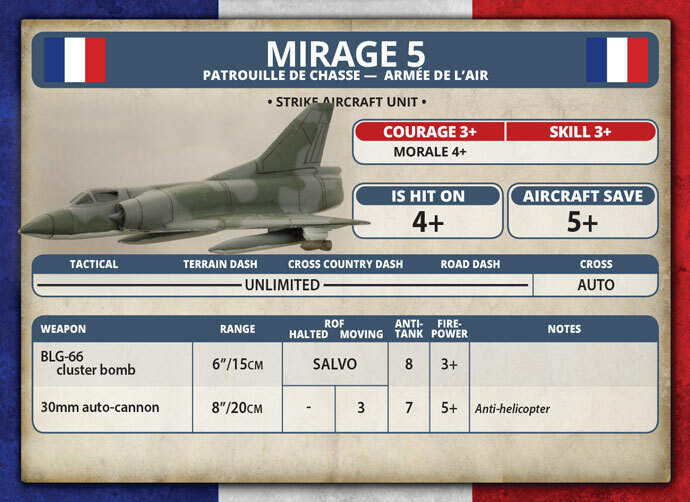 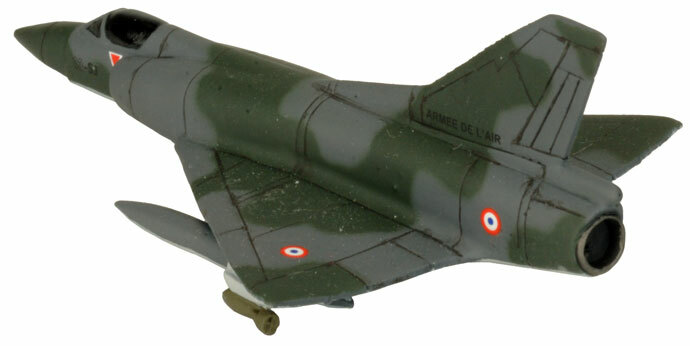 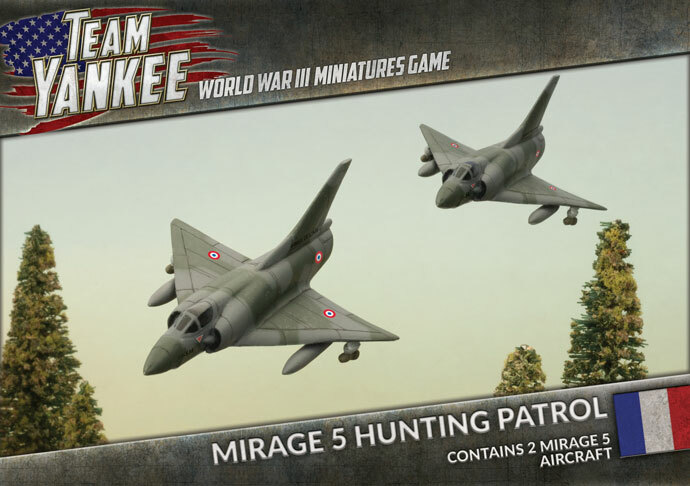 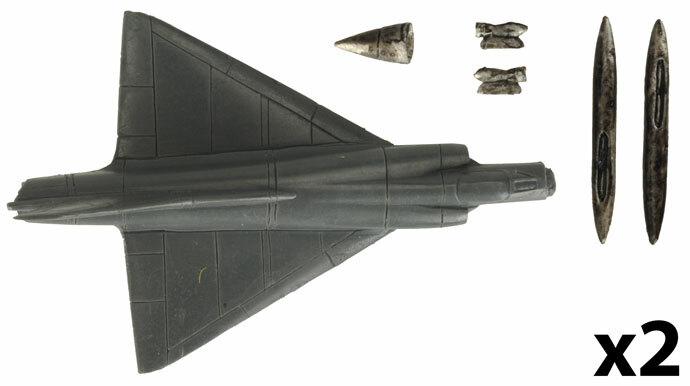 The Mirage 5 fighter-bomber retained the 30mm twin DEFA autocannons of the Mirage III and is armed with BLG-66 Belouga cluster bombs for striking enemy units.